come with a small diamond store, a ramp and a street light with signs. 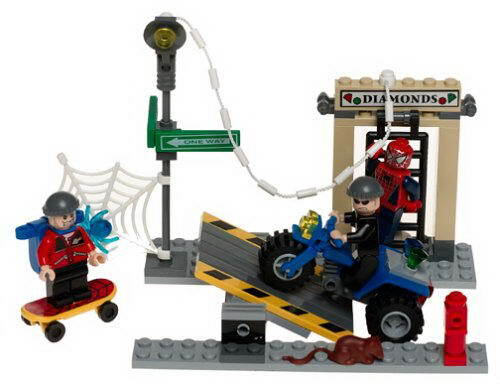 also included a trike and a skateboard. 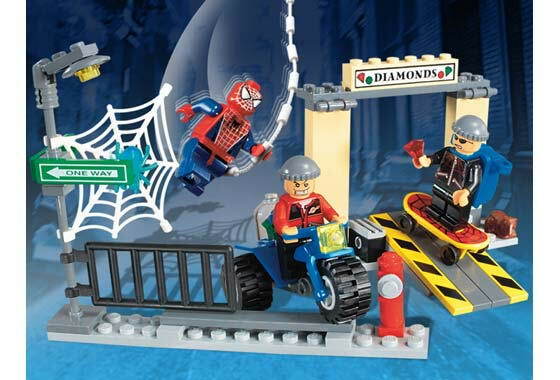 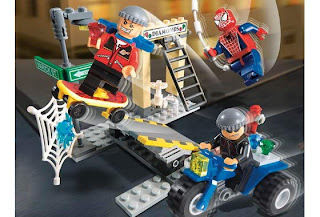 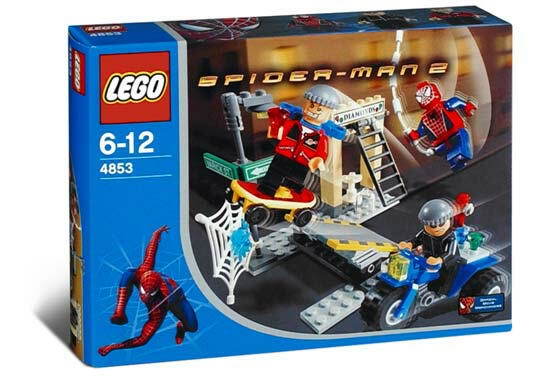 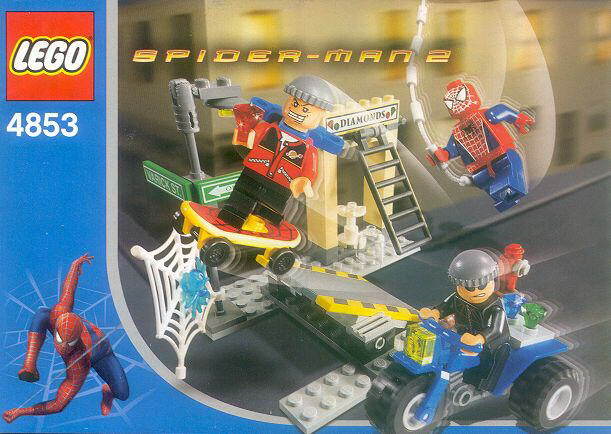 minifigs included a spiderman minifig and 2 robber minifigs.